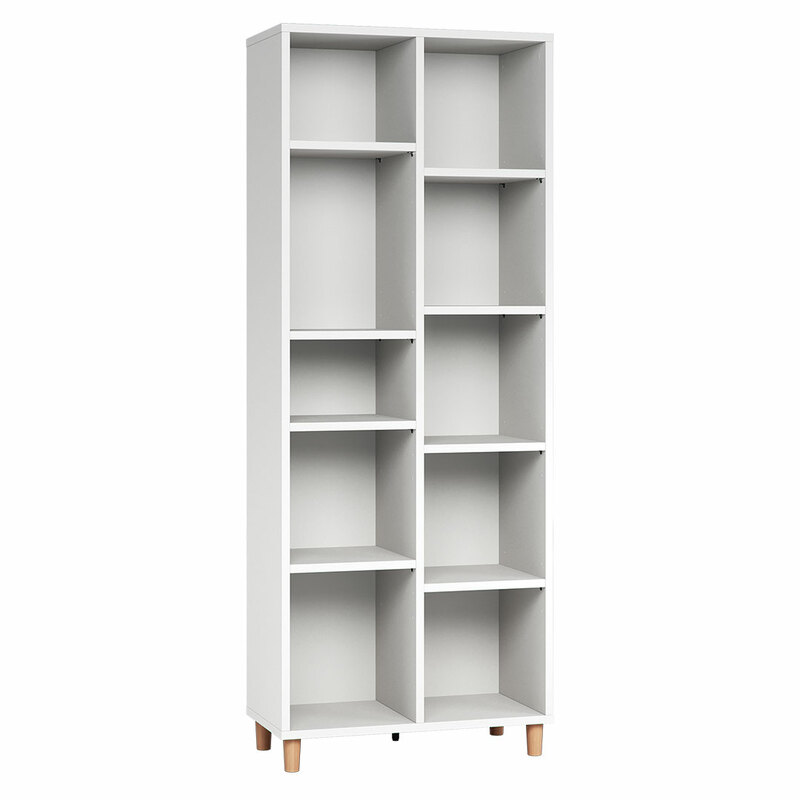 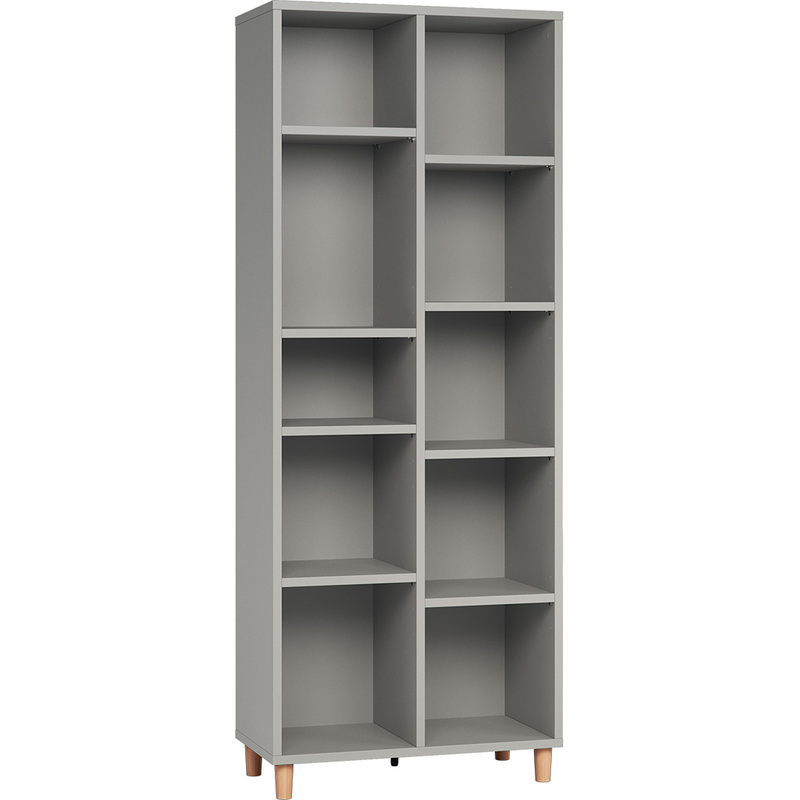 Perfect for teenagers and kids rooms, this Simple Double Bookcase features durable materials and elegant contours. 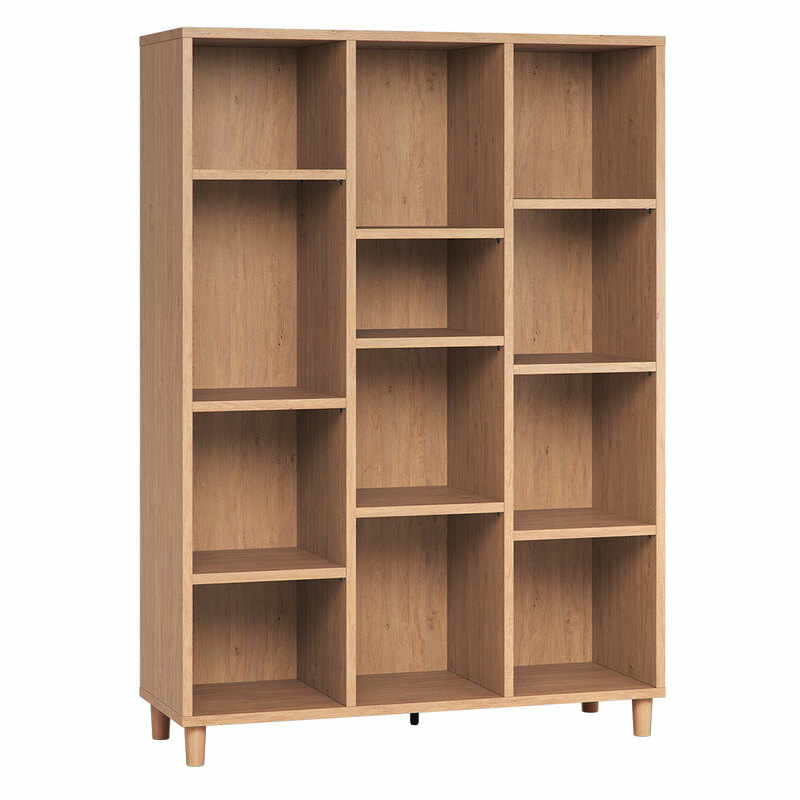 The oak or white frame combined with sturdy wooden legs are both practical and on trend. 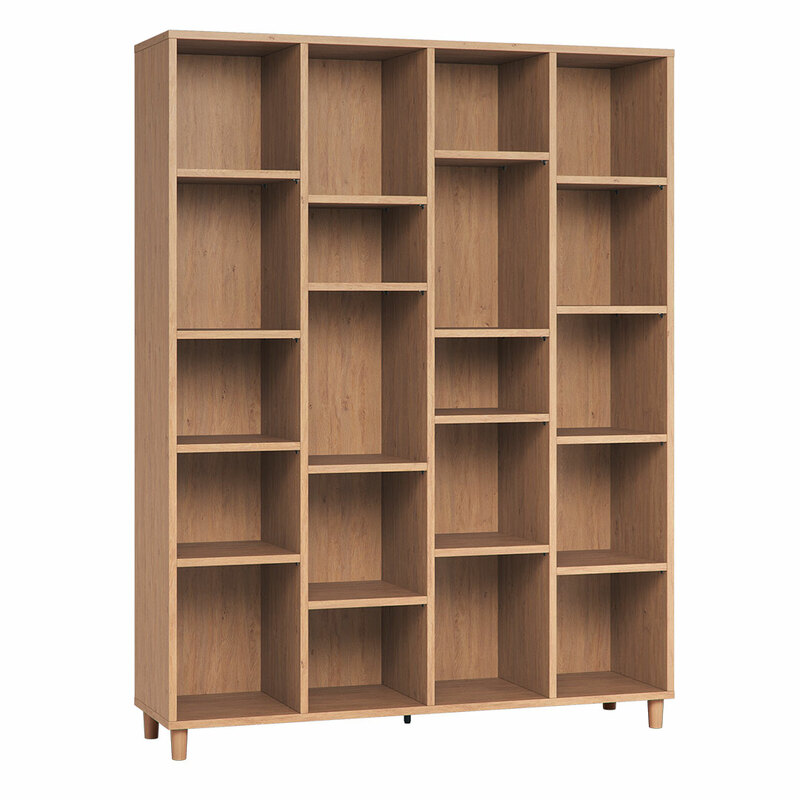 Ten uneven-sized shelves create a striking display space while offering ample storage for books, art and keepsakes.